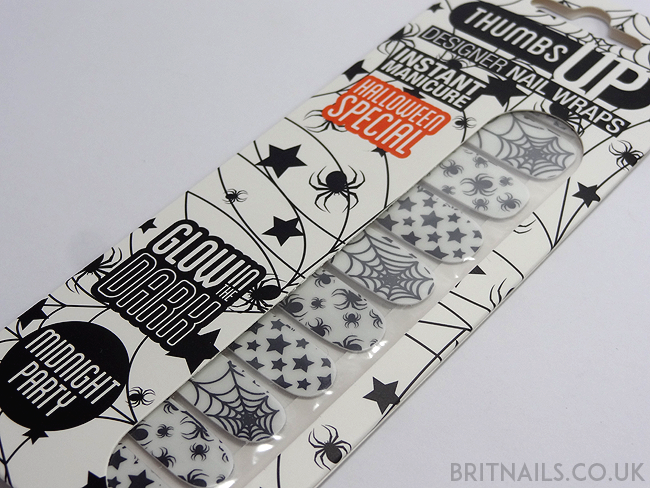 Today I've got some fun Halloween nails courtesy of Thumbs Up! Nail Wraps. I am totally NOT a fan of spiders, but I found the ones featured on these wraps kind of cute! Now, I'm not the biggest fan of nail wraps (I'm awful at applying them) but Thumbs Up have a special place in my heart. They're very easy to apply compared to most nail wraps I've tried, there's lots of awesome designs to choose from and the packaging is fabulous! I first reviewed them all the way back in January, if you're interested you can read it here. The design I'm wearing here is called Midnight Party and features spiders, stars and webs...and they glow in the dark! 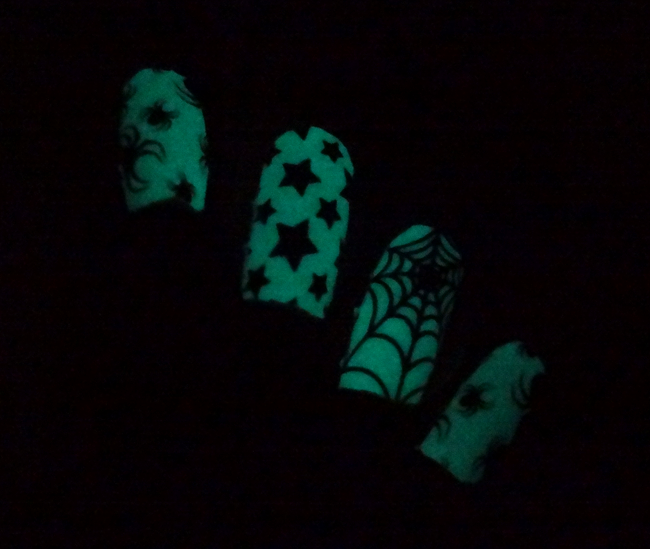 I totally failed at taking a glow in the dark picture, but I assure you they work really well! You get 2 sheets of 10 wraps in each pack, in plenty of different sizes. What do you think, have you tried Thumbs Up wraps? Allie, it's good to note that these wraps are sized generously enough for even your lovely, long nails with the deep nailbeds! Very cute mani today!